Can fining airlines help Indian airports run efficiently? In September, India’s Directorate General of Civil Aviation (DGCA) issued new regulation assigning penalties for airlines that spend too much time on the runway after issued a permission for take-off. The aim is to fight delays at the increasingly jammed Indian airports that are running out of capacity at fast pace as the aviation market of the country is on the verge of becoming the third largest in the world. The DGCA ruling enforces a procedure to sustain compliance to flight schedules. It defines a clear time slot for the pushback and foresees the consequences for the planes that fail to follow the procedure. The regulation obliges the aircraft to contact Surface Movement Control at least 15 minutes prior to schedule time of departure and after receiving the approval for pushback to move within 5 minutes. “Aircraft not adhering to pushback clearance will go back in the sequence. Subsequent clearance will be given based on available slot,” the regulation states. According to an IATA spokesperson, the rule has been in place since 2009, but now the emphasis is put on consequences for the airlines that do not comply with the requirements. Similar guidelines exist in other countries too; take Singapore’s Changi Airport for instance, which also has the requirement. According to the experts, the rule does not possess safety risks, as it is the responsibility of everyone – the ATC, airport management, security and airlines – to ensure the safety of flights, passengers and aircraft. Nevertheless making the obligation work in some airports, especially smaller ones, might require some investment in the infrastructure, Indian aviation consultant Amitav Chatterjee points out. 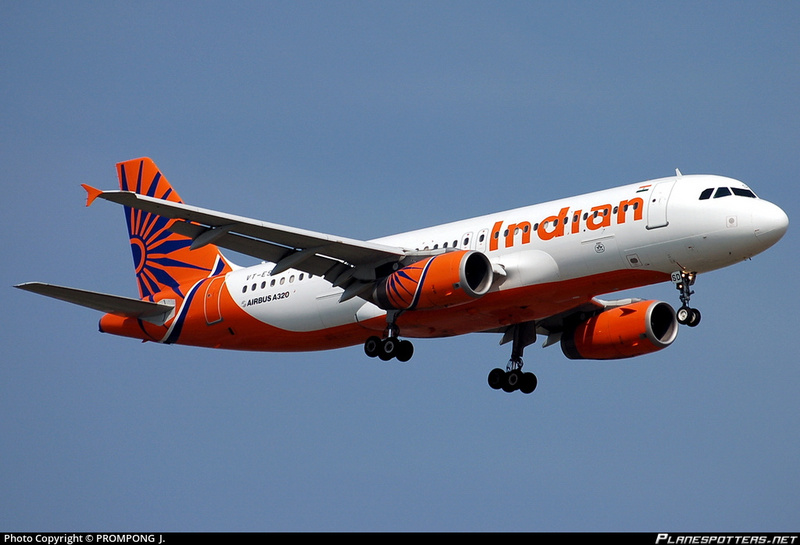 The new rule comes against the backdrop of India’s aviation sector expanding immensely. The passenger traffic surpassed 100 million in 2016 and is expected to reach 200 million by the end of 2018 financial year. In 2016, IATA forecasted that India will become the third largest aviation market in the world by 2025. However, the country has even more ambitious goals of reaching this goal 5 years ahead of the forecast. The abrupt expansion comes at a price and running out of the airport capacity limits is just one problem among many others. According to India Times, the country will need a $370 billion investment in the aviation market over the next 10 years to meet the growing passenger traffic. According to CAPA’s estimates, most of India’s 40 biggest airports will exceed their capacity limits by 2027. As the capacity of Indian airports is running out, the problem of flight delays is gaining an increasing importance. According to the DGCA, 200,000 passengers were affected by the flight delays in January 2017, causing further crowding at the already-busy airports. Indian aviation experts agree with the DGCA’s reasoning that the new rules will help to put the ‘naughty’ airlines under control. The problem with punctuality exists, as on-time performance varies vastly among carriers. Despite the delay tendencies decreasing in 2017, the official data by DGCA shows that in August 2017, on-time performance varied between 86.6% (IndiGo) and only 65.8% (Jet Airways) at the TOP 4 country’s airports. In comparison, the punctuality rate among all US airlines in July 2017 was 79.72% at one of the country’s busiest Los Angeles International Airport (LAX). Kishu Teckchandani, India Aviation Consulting expert believes that the primary reason for the new circular by the DGCA is to avoid manipulations on the ground, that increases the delay rate among both the punctual and the ‘always-late’ airlines. He points out to the fact that the misuse of the first-come-first-served approach is especially harmful when it occurs during the rush hour or in the early morning hours, when there are about 50-60 planes lined up for the scheduled departure. “Once the startup clearance is given and the plane is not yet ready – the Tower ATCO is stuck as sequence gets changed every minute and most aircraft cannot startup and leave (taxi out or cannot be ‘pushed back’ as per sequence)”, Teckchandani adds. “The one main thing this tries to stop is the unhealthy practice of some of the pilots, on entering the cockpit, asking for “startup clearance” from the ATC even when the passengers are in the building – just to block their position in sequence of departure,” Teckchandani says. ← Do personality differences in the cockpit impair performance?